LOOKING back on a decade, one usually finds a splendid, eclectic smorgasbord of events. Hundreds of narratives compete to be heard, telling of the hopes, fears, triumphs and tragedies of the myriad nations and interest groups, which make up the human race. But the first decade of the 21st century, which now draws to a close, offers a single grand narrative overarching all others. It is the story of globalisation, an idea that is being strenuously promoted and bitterly opposed. To my mind, this is the strand that knits together the many stories of the decade. In pursuing it, we may miss a few big stories. But rest assured, there will be very, very few exclusions. The story of globalisation has absorbed all competing narratives, including the big headline-grabbers – finance, politics, security, communications and media. It has even absorbed terrorism, the single biggest story of the 21st century. The plot synopsis reads like this: Saudi scion gets mad at American interference and attacks New York on 9/11. Washington strikes back and Iraq is ravaged. Then the war turns into a neo-colonial project to enrich a handful of Americans, at national expense. A crisis of confidence follows, spurs regime change in the White House and America’s first Black president, of English, Irish, German and Kenyan descent and raised in Hawaii and Indonesia, takes office. That’s globalisation at work, across four continents. The decade began with the attack on New York City, saw another on a similar scale in Mumbai on 26/11 (2008), and is closing with the whistleblower Website WikiLeaks releasing a damaging cable from Hillary Clinton ordering US diplomats to play amateur gumshoes and collect personal details of their peers in foreign countries, including their credit card numbers, frequent flier numbers, DNA samples and biometric data. Particularly shocking is the fact that the order did not spare even the United Nations, the sacred space of diplomacy, which member nations have committed to keep free of espionage. In just 10 years, terrorism has won. It is turning the Western democracies, which are founded on the sanctity of individual freedom, into Orwellian surveillance states. Since October this year, the UK has had more surveillance cameras per head of population than any other nation. There’s one CCTV camera for every 14 Britons. In contrast, China, widely regarded as a police state, has one camera for every 4.72 lakh people. Pervasive security manias brought on by terrorism are eroding the basis of Western democracy. This decade also saw the collapse of the market, the handmaiden of globalisation, as iconic business institutions were revealed to be stupid or criminal or both, and their collapse sparked off crises that took down national economies. The first casualty was Enron, the energy powerhouse of the Nineties. The secret of its success was revealed in 2001: massive accounting fraud. The storm that followed wiped it out and flattened its accounting firm Arthur Andersen, one of the ‘Big Five’ of global finance. 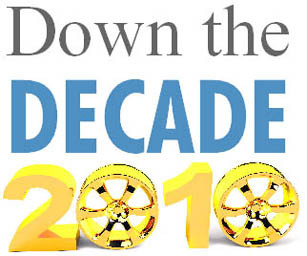 The decade closed with the biggest recession in the US since the Great Depression. Crippled by a $613 billion debt from the sub-prime housing loan crisis, Lehman Bros filed for bankruptcy in September, 2008, and took down Wall Street with it. Bourses from there to Dalal Street fell like dominoes. Even Dubai went bust. It had over-extended itself in trying to become the world’s premium address and eventually, it had to take a $20 billion bailout package from Abu Dhabi. Meanwhile, the recession led to the collapse of the national economies of Iceland, Greece and Ireland. Speculative money fled the US real estate market after the sub-prime crisis and wormed its way into the global market in foodgrains and commodities, sending food prices spiralling worldwide. Between 2007 and 2008, there were about 40 food riots across the world, a phenomenon not seen since the era of famines in colonial times. Governments from Mozambique to India are failing to contain inflation and hunger is being spawned worldwide. This, too, is globalisation. As Western economies slowed down, their capital and goods sought new opportunities and markets in the less developed countries. Every logo on earth is already in India and China, or waiting to be let in. Meanwhile, the big Asian powers struck out into the world, looking for undervalued pickings. China, already a major exporter of manufactured goods, bought up huge tracts of land in Africa for its food security. 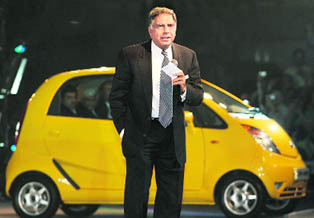 Domestically, the Tatas were soundly embarrassed by the Nano, the world’s cheapest car, which made waves but failed to find buyers and embroiled the corporation in a disastrous battle over land rights in West Bengal. But overseas, it picked up iconic marques like Jaguar and Land Rover, along with the steel giant Corus. Global media suffered a shakedown as cheap Internet advertising in the First World crippled its newspapers and magazines. Venerable mastheads like the Christian Science Monitor were almost forced out of print and even the biggest papers, like the New York Times, were hurt. But the booming economies of the developing world fuelled rapid growth in traditional media here. Well before the end of the decade, the balance of media power had tipped towards the South. For the first time ever, it is in a position to influence the global discourse. In fact, if this were not the designated decade of terrorism, it would have been the decade of electronic media and the Internet. The unstoppable rise of Google has democratised access to information across borders, while sequestering huge information territories. Google even owns Internet discussions going way back to 1995, and Google Books has raised concerns of a monopoly over the world’s intellectual property. But contrary forces were at work, too. Wikipedia, born in 2001, democratised the production and accumulation of information. Its 17 million articles are generated and owned by the public. Wikipedia is a daring experiment, taking us back to an idyllic global commons untainted by the profit motive where, paradoxically, the knowledge economy enjoys free rein. This decade also saw the birth of social media, the biggest killer application since email. 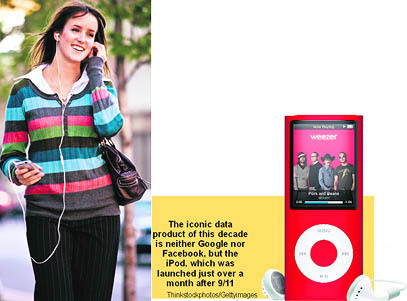 Facebook was launched in 2004, has 220 million users and has inspired a Hollywood movie. Twitter went online on the night of March 21, 2006, when lead entrepreneur Jack Dorsey published the first tweet: "just setting up my twttr." Today, an estimated 65 million tweets are published every day, any of which can turn the news of the day into a tidal wave of global opinion. While Twitter has changed the way in which news is pushed out, the blogging revolution powered by Wordpress, Blogger and Typepad have changed the manner in which it is interpreted. Bloggers and social media users now have more collective power than individual newspaper editors. And this power is widely distributed because late in this decade, the Anglo-Saxon world lost control of the Internet. Wikipedia now hosts wikis in over 230 languages. Google offers more than 40, including the alien tongue used by Klingons in Star Trek. Finally, of course, this was the decade of China and India. Or, to put it bluntly, China versus India. Right through the decade, the West has seen the two big powers of the ancient world as warhorses pawing at the earth. As late as the time of Christ, these regions – they would not be nations for centuries, of course – accounted for more than 40 per cent of the global GDP. Now, after the long hiatus of the colonial era, the tide is turning again. China already has a stranglehold on the US economy, with massive investments in government paper. India has been less efficient but it has forced the world to accept it as a legitimate, responsible nuclear power, and is on its way to a seat in the UN Security Council. Besides, India offers hinterlands and markets that Western economies find tantalisingly huge. Even if it cannot yet alter the balance of power in the global economy, it is in a position to influence the way in which it is run. For instance, at the recently concluded G-20 summit, Prime Minister Manmohan Singh mooted a radical change in North-South relations. He suggested that in the interest of global stability, the custom of the rich nations giving aid to their poor cousins should be ended. Instead, they should invest in the infrastructure of poorer countries. As a matter of fact, the rich countries, led by the US, can no longer play either philanthropists or bankers to the world. They can only be partners in an increasingly equal relationship. In a way, globalisation has rounded off the world. It has exposed nations to unprecedented stresses but at the same time, it has made them interdependent. This decade marks the end of the stark 20th century stratification of the world into the First, Second and Third Worlds, and has laid the foundations of a real parliament of nations.